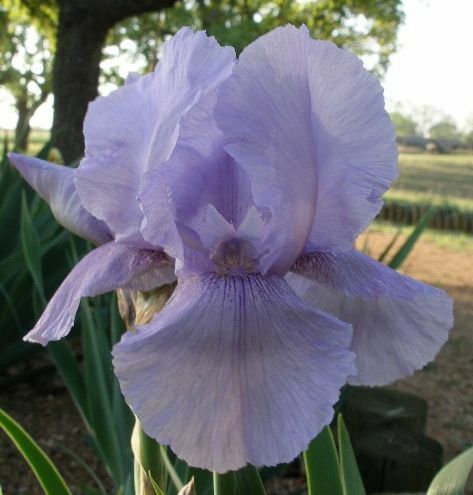 'Darlene Waters' OB- ( Jack Linse, R. 1955). Seedling Nscap-27, AB, TMB, 40" (102 cm). Early bloom. Light blue violet self; darker lines flaring out into falls; darker violet at base of lemon beard. 'New Snow' X 'Capitola'. Easy Breeze Gardens, 1956.